The evaluation period has been going full bore, and with the April 15th contact period looming, colleges will certainly be chomping at the bit to get more offers out, and find the next diamond in the rough in the state. 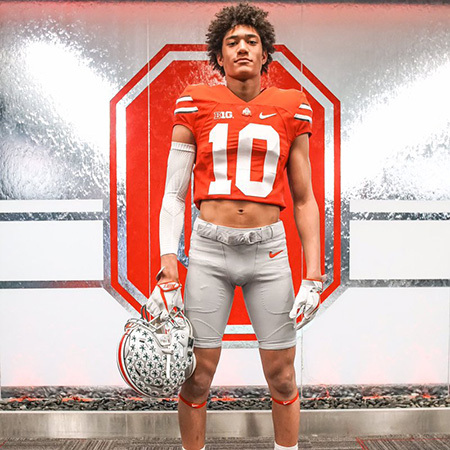 However, this feature will have no diamonds in the rough, and will focus purely on five hot commodities that have blown up during the early part of the 2019 recruiting cycle. We will also include a few players laying in the weeds that are collecting mid-major interest at this current point in time. Scoop – Murray’s recruitment took a leap forward during the month of January where he earned offers from Troy, Georgia Southern, App State, Memphis and Arkansas State in the course of a week. That month was capped off with a major offer from Michigan on January 31st. Murray (6’3″ 315-pounds), whose film demonstrates some of the best blocking fundamentals in the state of Georgia, has continued to see his offers pile up over the months and recently Louisville and Virginia have jumped on board and offered. Standing with only three Power 5 offers at the moment, we expect Murray to really blow up in the next month and end up with well over 30 offers. 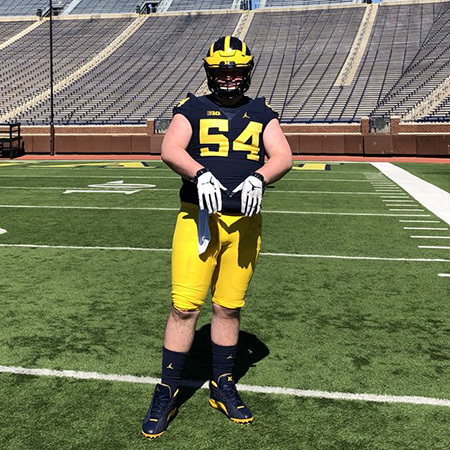 Michigan certainly appears to be in the lead, as they were the first major school to offer, and he took a visit on March 26th to Ann Arbor. Murray made our Elite 125 rankings a few months back, he shows the potential of playing both center and offensive guard. He is a 3-year starter, has textbook blocking form, and keeps a flat back which generates a ton of power right at the point of attack. 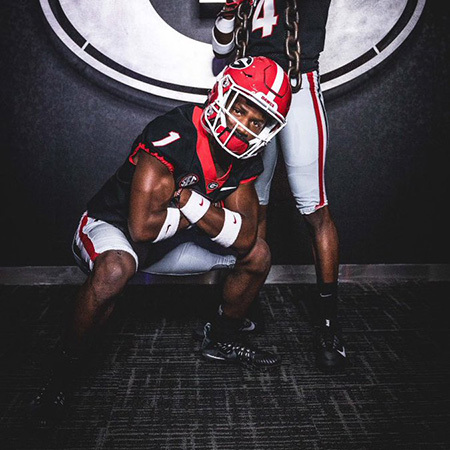 Scoop – Soli had arguably the best season last year among defensive ends in the state of Georgia, out performing many players, who at the time had more offers and accolades. Well all of that has gone to the wayside in the last month. We have seen the slender defensive end really fill out his frame and develop his game over the last few years, and the Power 5 offers have poured in. Perhaps no recruit in the state of Georgia is seeing more elite college interest in the last 30 days than Soli, who has received offers from Ole Miss, Florida State, Kentucky, Clemson, Alabama, and a litany of similar Power 5’s. It was just about a month ago the 2019 sack-artist came out with a list of top schools, which primarily included the top academic football teams in the country. We had originally thought those schools would be the major players for the 3.6 GPA student-athlete, but with a recent visit to Clemson just last week, his whole recruitment seems to be going in a new direction. Soli’s elite quickness out of his stance and non-stop hustle on the field is the type of work ethic every college covets. The result last fall was an 18 sacks season and All-State honors on our website. Scoop – Kyle Hamilton has been a recruit on our radar for some time now; he made preseason and postseason All-State honors on our website as a junior, was ranked in the top 20 for North Georgia as a sophomore and is currently ranked in the top 100 in Georgia (with an expected bump in our upcoming rankings). Hamilton, who picked off 6 interceptions last year, has been picking up elite offers for most of the offseason. The offer explosion started around the beginning of January and was highlighted with offers from Duke, Clemson, Notre Dame, Ohio State, Auburn, Georgia, LSU, Stanford, Michigan, and Florida State. Hamilton sports a 3.67 GPA, and last month he came out with a top list of teams that included both strong academics and athletics. Clemson, Georgia, Michigan, Notre Dame, Ohio State, Northwestern, and Duke made the list. Hamilton has the best hands at the safety position of any athlete in the state of Georgia and his 6’3″ frame and 35″ vertical jump gives him an incredible radius to break up the pass. From sophomore to junior year we saw more consistent play and his tackle total increased from 38 to 80 during that span. From an outsiders perspective, the team to beat appears to be Notre Dame, who has taken two visits from Hamilton in the last 6 months. Scoop – Beasley is a natural playing the game, and we truly believe he is one of the top 50 players in the state of Georgia. Last fall the All-State athlete ran for 1749 yards and 29 touchdowns while also totaling 66 tackles and 3 interceptions. 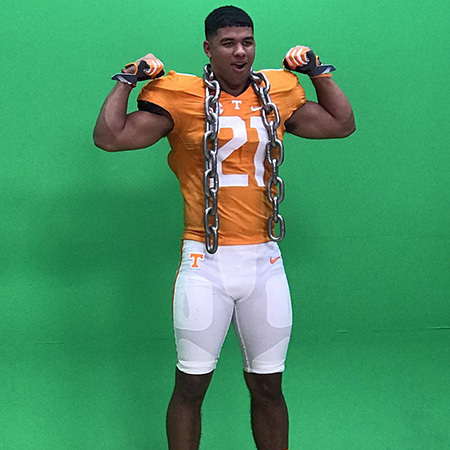 This offseason has been very good to Beasley, who saw a Power 5 offer explosion back in the month of February with West Virginia, Georgia Tech, Ole Miss, Florida State, Tennessee, Kentucky, Duke, Auburn, and Mizzou offering, The 2019 recruit is right at 20 offers to date, and we expect that number to continue to grow as we enter the spring portion of the recruiting cycle. Beasley is an intangibles type of player, who consistently makes plays that directly impact the outcome of a game. His ability as a defender, specifically at safety is very high, and he does an elite job of recognizing the play. He is a very powerful player, just in the last month he power cleaned 325 pounds. That translates well over to the field, as we see him make explosive textbook tackles consistently on film. Tennessee seems to have a lead for Beasley. They offered him less than 24 hours after our rankings came out on February 19th, and he has already visited twice during that span. Scoop – After watching North Gwinnett throughout the 2017 football season, it was clear that Newsome could play the game. Maybe it was him blowing up a receiver out in the flat, or the physical play he shows down field in coverage, but it was apparent that he can play Power 5 football. Colleges caught on quick and starting back around January he really began to see recruiting interest take off. By the time of our rankings in February, Newsome already held Power 5 offers from California, Stanford, Auburn, West Virginia, Ole Miss, Wake Forest, and Vanderbilt. The offers have not stopped either, and recently he received ones from National Championship game participants Georgia and Alabama. He has now taken unofficial visits to both schools – the most recent to Alabama just last weekend. Newsome displays very good length for his position at 6’1″, and his ability to break on the pass is near the tops in the state of Georgia. He is an explosive tackler, and reacts to the play with boundless ferocity. We are expecting a few more elite offers for Newsome, as his skill set is a harder combo to find. Scoop – Wood is one of the quickest defensive lineman in the state of Georgia. He explodes off the ball. Very strong player, already holds double-digit offers from mid-major schools. Very interesting prospect that P5’s should checkout as a lead blocker or a versatile pass-rush specialist. Scoop – Revels’ recruitment has been slow, but with recent P5 offers from California and Vanderbilt has helped the word get out. The hard-hitting safety had right at 200 tackles for the 7-A state runner-ups in Colquitt County. Scoop – Smith has a unique blend of size and speed out there on the field. Considering his near 6’3″ frame, he is one of the best linebackers in Georgia in pass coverage. His game took the biggest leap of almost any player over the last year. That rate of progression suggest a high ceiling. 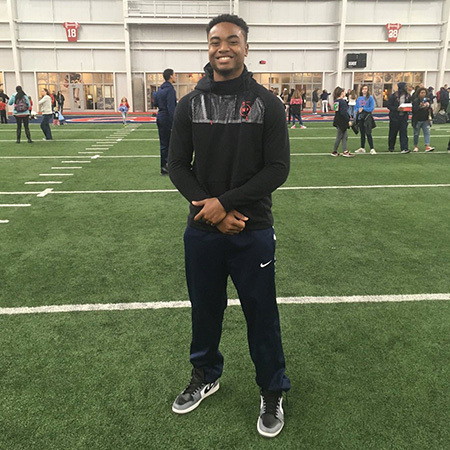 Smith has received a P5 offer in Rutgers, but we feel like he is on the brink of blowing up with many more. Scoop – Williams has been a two year starter at Tift playing primarily offensive tackle. At the next level he figures to be an offensive guard. The powerful lineman is proficient in the run and pass – keeps a flat back while blocking. Maryland and Minnesota are a few P5 schools that have offered, but we expect more on the way over the next few months. Scoop – Hill can play any of the defensive back positions, and showcases the ability to play tight man coverage. He has a compact body, very strong player who can play press coverage on the slot or get solid depth in zone defense. Hill has a slew of G5 and FCS offers, but we think he’s not too far off landing a P5 one.